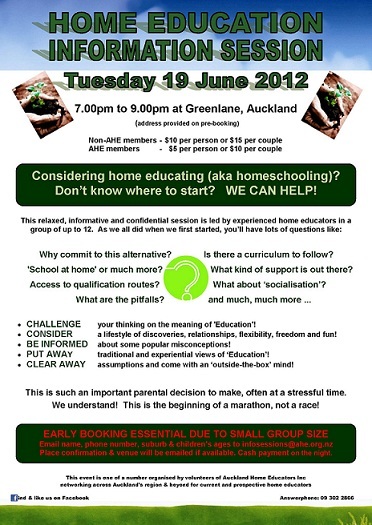 for those looking into the home schooling option will be held on Tuesday 19 June at Greenlane. This is a publicly advertised event – early booking’s essential since places are limited to 12. Trying to decide whether or not to home educate (aka homeschool)? Looking for info? Join this two-way session with seasoned home educators to look at the pros and cons.